**AVAILABLE NOW**Luxury living at San Marco Place! This 2 bedroom, 2 bathroom is a unique floorplan and perfect for someone needing an extra room or office. San Marco Place offers luxury amenities such as whirlpool spa, large pool and courtyard area, wet and dry saunas, billiards room, state of the art fitness center, business and social rooms, tennis courts and so much more! 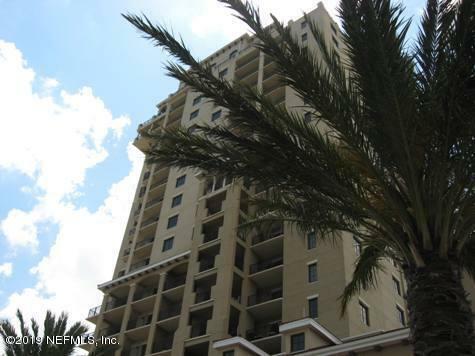 Not to mention the breathtaking views of the St. Johns River and San Marco. There is a 1 designated parking spot allowed for this condo. This is a must see and will go very quickly.